I received today the hardback of Black Leopard, Red Wolf by Marlon James. It came out just a few days ago. It’s exactly 620 pages with some large line spacing, and it also looks like a very slim book just because they’ve used very high quality but thin paper. Otherwise it’s a 220k words, and so around 550 pages on a standard format, including a few maps drawn by the writer himself, or at least through some softer because they don’t look hand-drawn. It’s the first in a trilogy titled “The Dark Star”, but this is only written on Amazon because there’s no mention at all on the physical book itself. My prediction is that is going to win the next Hugo. Or the next after this one since I think this year are only eligible the books that came out in 2018, but I might be wrong. Jemisin won best novel the last three years. We all know the political mess around the Hugo. What has happened in the last three years can objectively be described as an anomaly. 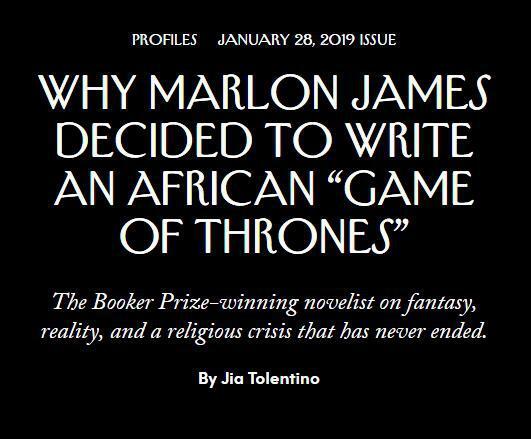 Maybe not so much because the novel prize went to a black woman, but because a fantasy book won, three times, year after year, and in the form of a series. Now, I do believe that Jemisin happened in the right place at the right time, because I think it’s not too outrageous to say that the book might not have won otherwise (the Hugo isn’t too keen on epic fantasy), and even more unlikely three times in a row. But again I have nothing against that. I bought the book (and the previous trilogy by the same author) long before it got popular because I read excellent reviews and very interesting ideas. It sounded absolutely amazing. It’s still part of a big to-read pile ready for my next life so I cannot give first-hand opinions, but I’m certain it’s an great book that deserves the praise it got, and I see this whole scenario as a general case of “killing two birds with one stone”: sending a political message by promoting and celebrating diversity while giving the spotlight to an excellent book that deserve it. In the end these “prizes” don’t really reward the “best” book, because that’s impossible. They are simply marketing tools. And at least we end up with a very good service if to be promoted is the diversity itself. Because the diversity, or change, in culture will also reflect in the writing. It broadens the view. 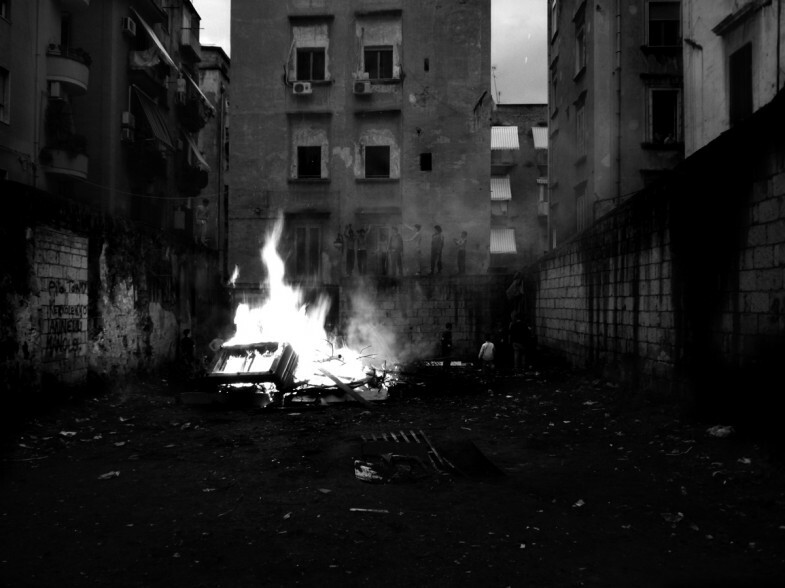 But if it was the perfect opportunity for Jemisin, this time it looks like the perfect storm. Marlon James is a black, gay man (from what I’ve read), who won the Booker prize a few years ago, so coming from the high tower of literature, raining down on the ignoble and lowborn fantasy genre, waiting for a new messiah to bring the light. The reviews are filled with superlatives, so I don’t know how this could go wrong. We’ve got all the ingredients once again, they seem even better aligned than with Jemisin. So we have a typical parade of now high-brow “celebrities” to help elevating this book to the ranks of literature, and okay, but what’s even more ridiculous is how they all speak about it. Let’s see. By the way, this escalation is exactly all I saw when I started getting curious about the book. These weren’t handpicked, they all appeared right away in quick succession. Yay! 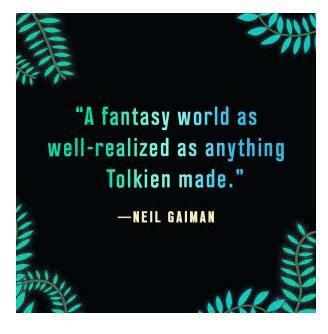 Gaiman namedrops Tolkien! It’s super-effective! That’s a classic, but do you think it stops there? 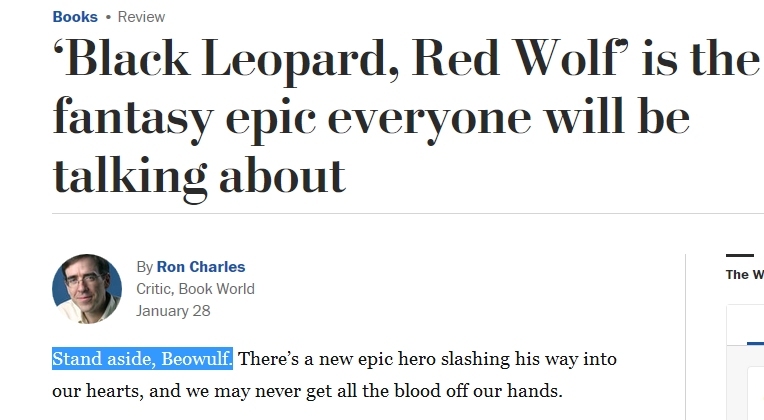 This is the New York Times, now it’s literary equivalent of the Marvel Universe, just one step away from Middle-Earth. …What is wrong with people? Well, alright, this one is the same that goes with Marvel Comics. Of course it wasn’t enough, better add some more names. I cannot even blame that title, it’s designed to be outrageous for a reason. I couldn’t find a picture of the backcover and I cannot take it myself right now, but the quote is all over the place. I assume this isn’t remotely a complete list. This is what I’ve seen immediately right on the Amazon page of the book. I’m sure that if I made a more careful search that list would grow longer and longer. Comparisons are fine. 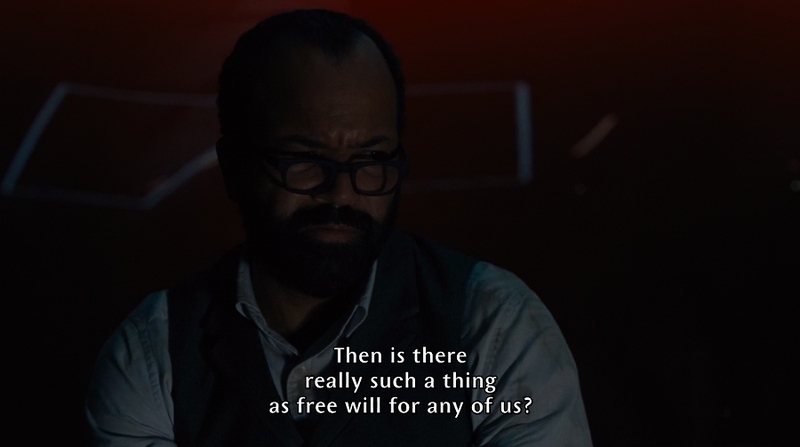 I look for them, I use them. They have their use and they represent an effective heuristic to gather information quickly about something like a book. They are a tool to quickly orient your curiosity. The problem here is that this list of names doesn’t really help. It’s as if I claimed: this book is the perfect mix of Joyce’s Ulysses and Fifty Shades of Gray, with the intrigue of Dan Brown and the wit of Pynchon. Wtf does that mean? How it can even be useful? How do you go from Robert E. Howard to Gene Wolfe and then the Marvel Universe?! Taxonomy goes to the slaughterhouse.